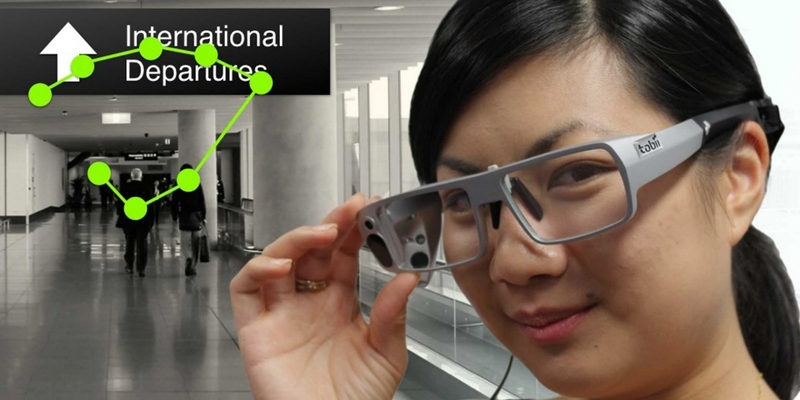 Researchers at Queensland University of Technology in Australia used eye tracking glasses to understand how people intuitively navigate around airports. The People and Systems (PAS) Lab at Queensland University of Technology uses its research expertise to enhance and enrich people's experiences with systems, products, activities, and services. The PAS Lab's approach is about creating 'enriching experiences' rather than 'designing objects' and to understand and model those experiences within services and systems. Their research extends toward cross‐disciplinary collaboration integrating qualitative and quantitative approaches. These studies are led by Associate Professor Thea Blackler, Professor Vesna Popovic, Dr. Ben Kraal, and Andrew Cave. They focus on how people intuitively interact with elements in a complex environment such as an airport. As the number of passengers flying, and the frequency with which they fly, increases, there is a need to ensure that they can navigate their way quickly and efficiently through airport terminals. To facilitate this process, airports can apply the principles of intuitive navigation, a concept which this research has examined in detail. In this study, 44 participants, wearing eye tracking glasses from Tobii Pro, navigated through two Australian international airports. Participants were asked to navigate from the entrance to the departures area, completing normal tasks such as check-in, security, and finding their boarding gate. Talk-aloud protocol (an established method in intuitive-interaction research) was used to gather information about what the participant was doing or looking for. A questionnaire was also used to identify their familiarity with the airport in question, as well as previous familiarity with airports and other similar complex transport environments. The video data was manually encoded using Noldus Observer software. Three analyses were performed on the data. The first examined the entire time spent navigating. The second analysis examined the use of elements that were defined by their location in the airport, and the third analysis examined the use of signage and non-signage elements. The results were statistically analyzed by a professional statistician. The insights gained from using the eye tracking glasses from Tobii Pro would not have been possible previously. Being able to view what participants focused on enabled new insights for our team. Results show that passengers can intuitively navigate within airports and that this intuitive navigation is facilitated by familiarity. Passengers with greater familiarity of airports and similar environments were found to spend more time intuitively navigating than those with less familiarity. 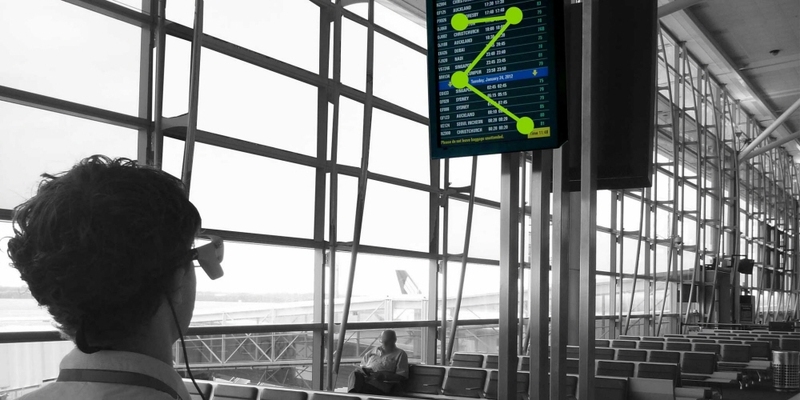 Thus, to guarantee that all passengers can navigate easily, airports need to ensure that passengers with low contextual familiarity can also navigate intuitively. This research has also revealed how people navigate using a range of key elements, with varying levels of intuitive use. To provide the conditions for intuitive navigation, there is a need to understand the navigation interaction that occurs between the navigator and the environment. While this research focused on an airport environment, the results have implications for other large spaces in which people navigate, including transportation terminals, hospitals, and shopping centers. The understanding and facilitation of intuitive navigation has potential to make everyday navigation easier for everyone.